Employer's note: Employees are expected to be in the office at least half the time, unless at customer site. 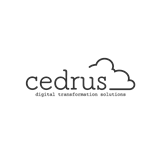 Cedrus is a leading consulting and engineering firm working with Fortune 1000 companies both directly and through partners like Amazon Web Services and the IBM Cloud Garage. We value people who can fit into our high-performance and collaborative engineering culture to deliver on diverse solutions, and have a focus on retaining top talent to deliver for our clients and on our internal lab projects. On the job learning and development. We keep our Engineers current and proficient with the latest technology, providing resources for extra learning, cultivating a culture to learn as a team, and supporting the acquisition of certifications where necessary. Excellent culture. Our team is comprised of motivated engineers who are hungry to learn, contribute, and take ownership of their work. Cedrus, a NY based Cloud Consulting and Engineering firm, is looking to hire experienced software engineers to support its growth. We are an agile company that values active people who share our passion for solving problems with technology. Cedrus specializes in implementing solutions to help its customers in their Cloud based Digital Transformation goals. Mid and Large companies, across multiple verticals, our customers rely on us to help them get the benefit of the new disruptive technologies without the risk of experimentation.